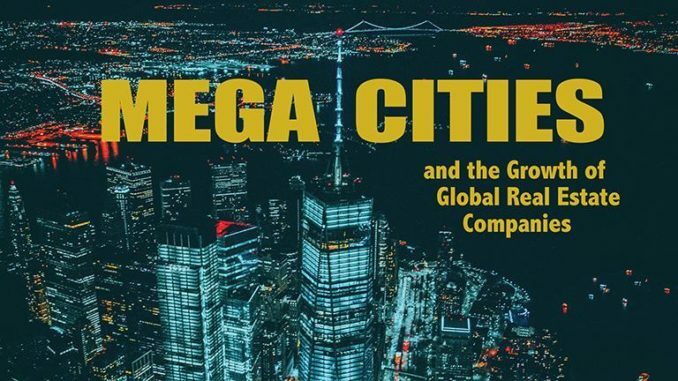 The megacities trend has profound implications both for culture and for markets. This trend includes the flow of capital into real estate and the intersection of global equity markets with global real estate development, ownership and management. Between 1800 and 2000, the global population percentage living in cities grew from 3 to 47. That percentage is likely to continue to rise for some time to come. The increase in planetary urban density is tied to the growth of the Asian economies and the rise of the Asian middle class. Of 47 current megacities (with populations of 10 million people or more), 30 are in Asia, including 15 in China and six in India. Our 3rd Quarter 2018 Wrap Up comes with a web presentation and transcripts. This includes our tables of megacities and global real estate companies for your review. Our goal is to ensure you understand the growth of megacities as an important primary trend — with consequences for culture, geopolitics and investment for decades to come. In Let’s Go to the Movies! I will review one of the choices in our Megacities collection of Documentaries, Movies & TV Shows, Crazy Rich Asians. Set in New York City and Singapore, it tells the story of an immensely wealthy Chinese family who made their fortune in real estate. This movie was first reviewed in our Food for the Soul column.